Marvel is bringing back X-Statix, the X-Men spinoff series featuring celebrity mutants. Giant-Sized X-Statix #1 will reunite the original X-Statix creative team of writer Peter Milligan and artists Michael Allred and Laura Allred in July. X-Statix began as a reboot of X-Force, but the team was forced to change its name when Cable’s old squad came asking about the rights. 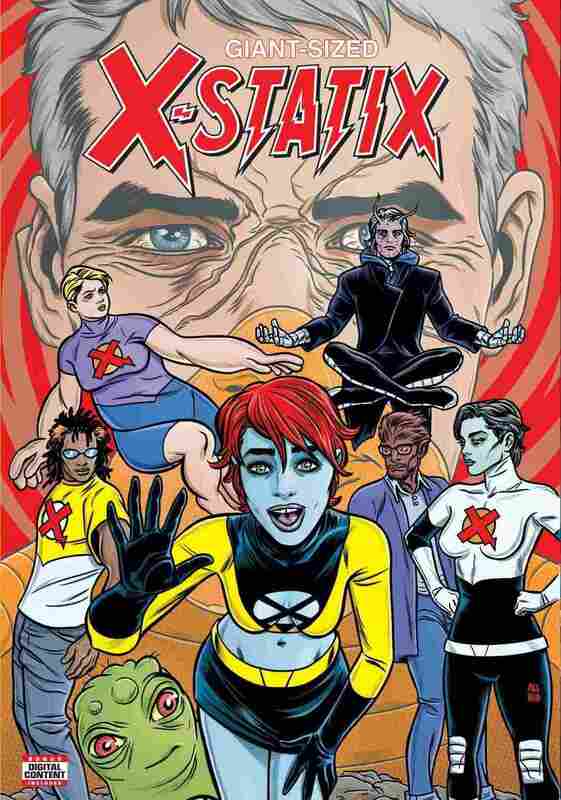 Based on the cover to Giant-Size X-Statix, some classic team members will be returning, including U-Go Girl, Anarchist, Vivisector, Dead Girl, Phat, Orphan, Zeitgeist, and Doop, though some of them may not be the same versions of the character that fans remember. When Milligan and the Allreds took over X-Force in 2001, they reimagined the team as a celebrity mutant squad for the reality TV generation. In typical X-Men fashion, the team had lots of interpersonal conflicts. In the case of X-Statix, the conflicts often had more to do with who got the most spotlight during missions than with typical love triangles. Are you excited for the return of X-Statix? Let us know in the comments. Giant-Size X-Statix goes on sale in July.